Fully Adjustable Metal Halide Lamps – Four 1,000 watt lamps provide maximum illumination and are controlled by individual circuit breakers for versatility. 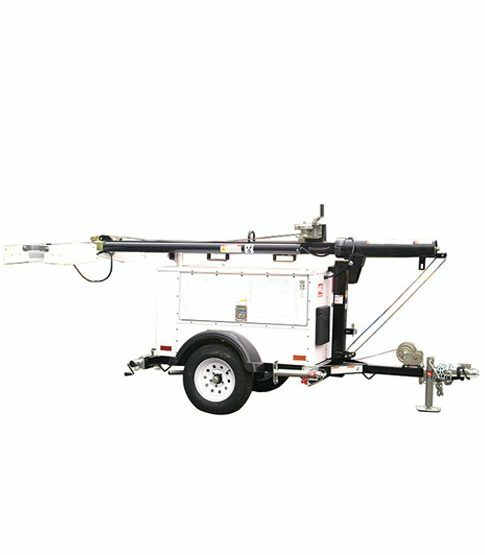 Engine – The light tower is powered by a Kubota Z482 3600-RPM, liquid-cooled, diesel engine. Convenience Receptacle – Ballasts and light switches located in the tongue area of trailer. 30 Gallon Fuel Tank – provides up to 48 hours of run time while running at ¾ load.